Palliative care focuses on improving the quality of life for those going through a chronic or life-limiting illness. It requires conscious and compassionate engagement to serve the needs and concerns of the patient while continuing to provide treatment and minimize suffering. 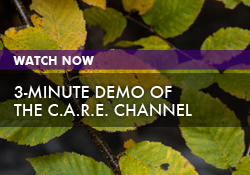 With its stunning nature imagery and beautiful music, The C.A.R.E. 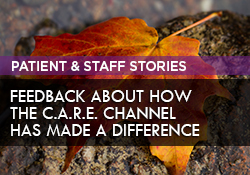 Channel supports the environmental qualities most valued by palliative care patients.